He's the brains behind our most consistently profitable membership, but how did it all begin? If it was suggested that there was a tipster in Australia who was profiting over $68,000 in 28 months, most wouldn’t believe it. Fortunately for his subscribers, Rod and his High Low Service has done just that during an incredible run. For those that don’t know, Rod likes to crunch the numbers on bookie promos to help find an edge. For the most part, it’s a big edge. Bookie promos and incentives are there to encourage the casual punter to keep on betting. But if you incorporate that edge with your regular betting of racing tips, you have a pretty powerful formula. Rod wasn’t always a professional punter and has a background in science. We thought we would find out a little bit more about him and exactly how punters can milk the bookies for all they are worth. Have you always been a punter or did you do anything else before you got involved with gambling professionally? I’ve worked in several jobs before I was a professional punter. I’m science-trained, so I worked in a lab, then I was a teacher for a little while, and had various bar jobs while I studied. After teaching I worked in admin for a couple years, then I was full-time Dad. I’ve never really had any job for more than 2 or 3 years. My interest always moved on to the next thing. What sort of background do you have in mathematics? Apart from my science training, not much! I’ve always been decent with numbers but most of the maths I use for my tips I learnt at high school. I’ve always been a decent logical thinker and liked using Excel. I did a “stats 101” course at uni that was useful. It was mainly through interest, research and reading that I got to where I am today though. How did you first get involved with punting? I used to cut out the AFL prices from the Herald Sun newspaper when I was 15 year old and write down my bets and how much I would have made. Dad’s been punting on the horses since I was in nappies (and is a profitable punter in his own right), so I always had him in the background and it was always something we talked about when we caught up when I was older. Until 2 or 3 years ago though, I never had much of a bet. How successful were you when you got started? I was pretty successful straight away. Once I worked out the edge on a couple of promotions, I realised there was some pretty crazy value available. The profit is very consistent so once I started betting them seriously there was really no looking back. We’re pretty profitable now, and it was even better back then. We know you from your background as a punter who makes huge profits betting on promos. But do you bet on any other sports or racing? Yeah, I follow a few of the Champion Bets packages, plus a couple others. There are some top-notch pros in the Champion Bets stable at the moment. Like any tips package, you have to be confident in the quality of the tipster behind the package, research their results, know how achievable prices are, etc, and most of the CB pros are just that. We all get into punting for the thrill of a win and the idea of “easy money”. There’s some easy money to be made at CB, so why not? What was the appeal of using promos to get an edge? There was a promo I saw one day about 3 years ago and I just wanted to know whether it had an edge on it or not. It felt like it did but didn’t know and there was nothing on the internet about it. I was curious, so I investigated, worked it out, and that was it. As I found out that day and later on, the best promos are highly profitable (like 20%+ P.O.T., see the record), but also remarkably consistent. That’s because when your horse loses, you don’t really “lose”, you get your money back or a bonus bet, and that really smooths out the variation and creates a consistent ride up the profit chart. Do you have any advice for new punters out there looking to better understand the maths behind promos or even how bookmakers set their odds? My best advice is always to read a lot. There’s some great info out there (on the web in particular these days). 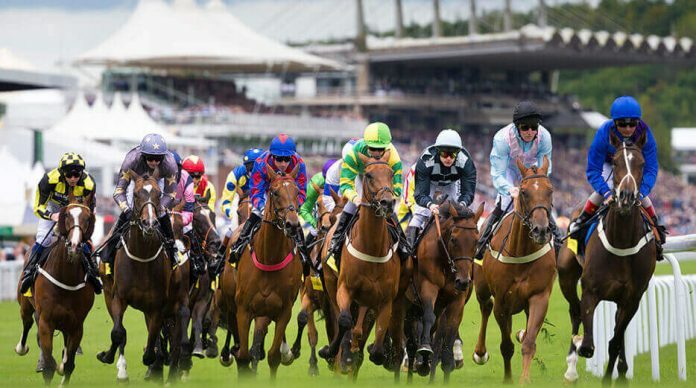 Places like the Champion Bets blog and Betfair Hub have some fantastic articles on how to become a better punter, including maths articles, and there are multiple similar sites around. When you’re trying to understand the nitty-gritty of how the numbers work, my best advice is to use examples. Formulas and equations are great once you understand the maths, but when it comes to learning it for the first time, nothing beats setting up an Excel file, punching in a market and playing around with some real numbers to understand what is going on. I do the same thing to this day when I come across a new promotion I need to analyse. How do you manage to keep your bookmaker accounts open given the number of promos you’re hitting on a weekly basis? That’s the million dollar question! The main thing is that you have to think about why bookmakers are offering you promos in the first place. The answer is pretty simple: they want you to bet your regular bets with them. If all you do is play promotional bets, they’ll promo ban you, because that’s not why they are offering you the promotions. Put in a reasonable number of normal (non-promotional) bets, and any reasonable bookie will be happy with you because that’s what they want. That’s where other tips packages can be handy because they are “normal” bets from a High Lows perspective. Things like the CB newsletter are handy as well (free racing tips). Members also get some extra tricks and advice on how to put on “normal” bets and maintain promo access. How can a regular punter incorporate promos into what they are currently doing to gain an even bigger edge? Promotions always improve the edge on your personal bets or tips you follow. How much value they add depends on the promo. When you’re going to have a bet, don’t always look for the best price available, but look for the bookie that is offering the best promo. The value added by the promo almost always provides a better long-term profit than backing a tip at a better price on a non-promotional market. Some promos are obviously good, others are trickier to know. If you want to know which promos make a profit in their own right, sign up to the High Lows and enjoy the profits with the rest of us. Rod’s High Low has profited an amazing $20,000 over the past 5 months, and is in the midst of a streak of 14 straight winning months. You will struggle to find another membership on the market can claim the same sort of consistency and profitability!